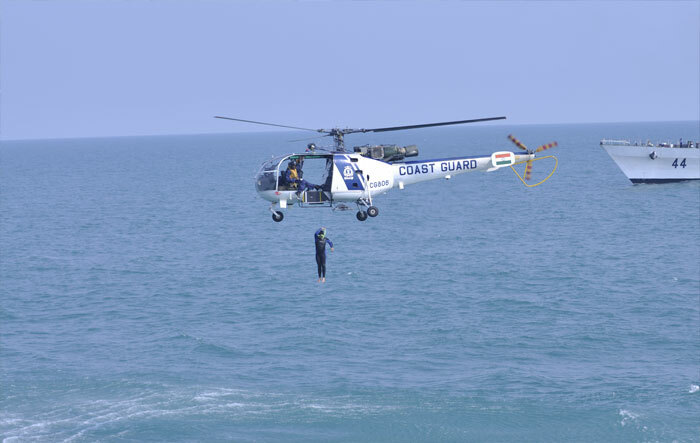 Life onboard a Coast Guard ship is engaging, adventurous and challenging. 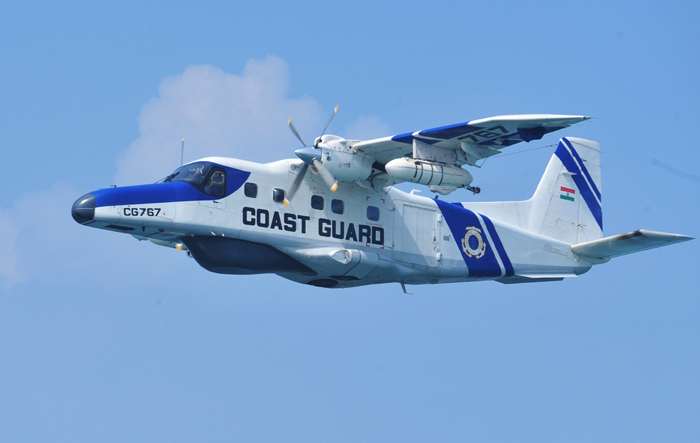 From saving human lives at sea and assisting fishermen in peril, to apprehending poachers and preserving marine biodiversity, job satisfaction comes easy to a �Coast Guardsman�. Each day at sea is filled with promise, and each mission is different in an inimitable way. The single most important factor for the Coast Guard today, are the Officers and Men who ultimately meet the challenges at sea. 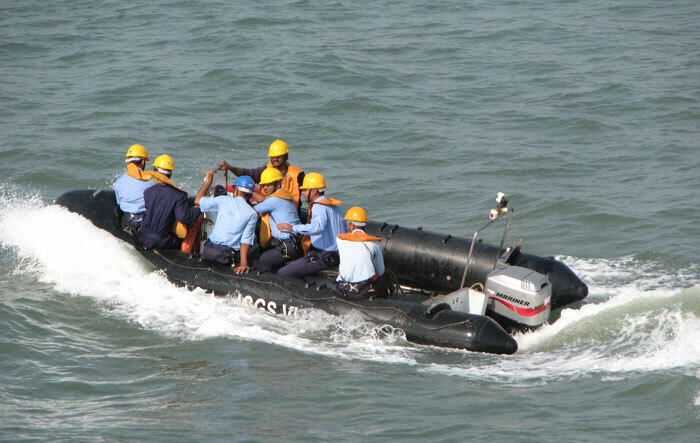 You could be just the man for this challenging sea- going career if you are intelligent and bold and can think with originality and possess leadership qualities. 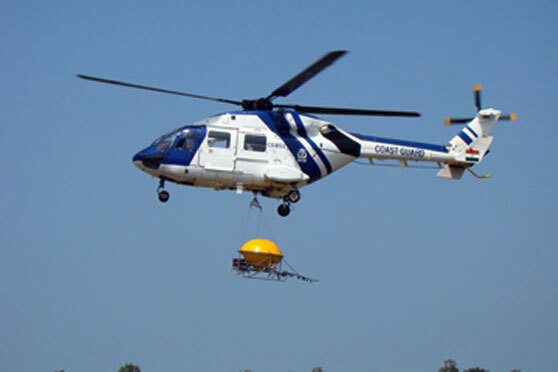 Service in Coast Guard is not merely an employment. 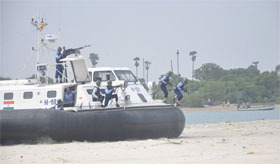 The officers of all branches including GD branch undergo Naval Orientation Course at INA, Ezhimala in Kerala for 22 weeks. 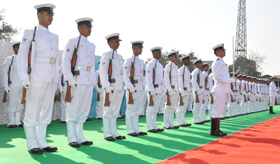 On successful completion, the officers depending upon their branch are deputed to various training establishments. 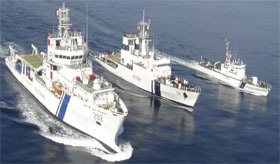 Similarly the Navik and Yantriks are on successful completion of training at INS Chilka are deputed for various course to training establishments and ships. 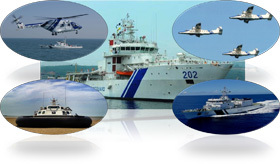 Training in Coast Guard is an area of focus where best of the training practices are applied . Content Owned, Updated and Maintained by IT Staff, Directorate of Recruitment.